Oh, I'm sorry! You weren't doing anything, were you? The past month or so, I've found myself drawing a lot at work, and not as a means of goofing off. I've always drawn well, and people admire my work, but I've been told all my life not to pursue art as a career, because it simply is not a viable option. 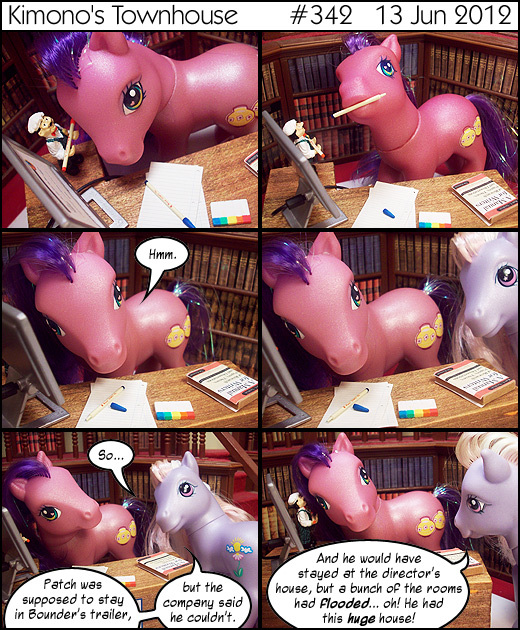 (At some point, I decided miniatures are cool and decided to make a comic with photos rather than a pen, but that's another kettle of fish.) So I land a job as an educator at a paleontological dig site. I'm not a paleontologist, just a sidekick. Lo and behold, what does the paleontologist want me to do? Draw! I've drawn so many teeth from so many extinct animals, I'm having dreams about teeth. I am, however, getting paid to do it, which feels like I've completed some strange circle. This anecdote is related to nothing, but then again, neither is Yesterdaisy's little interjection. You could rival My Milk Toof then.